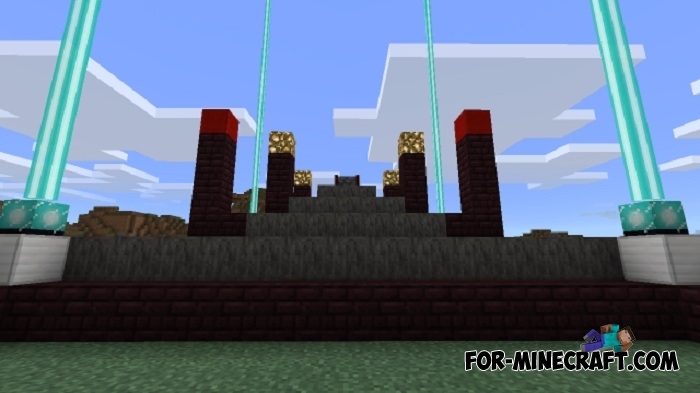 Blood Magic PE is a ported mod for Minecraft Pocket Edition that contains a new kind of energy. No, it's not the sun's rays, all the new mechanisms require special energy is blood. 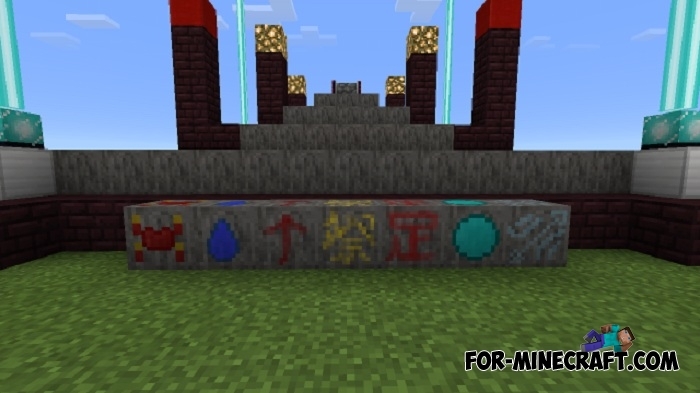 In general terms, Blood Magic PE is a global mod and you can see all the features just by playing. There are several important mechanisms without which it is impossible to obtain energy. 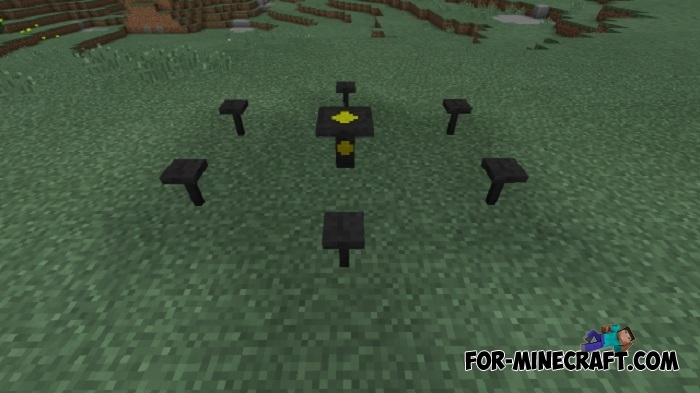 If you do not know how this mod works, then first you will need an altar and a special knife, which are necessary for sacrifice. Using them you need to give your blood to replenish the altar with blood. Then you get your first blood orb for the following actions. Create other altars and collect more blood. You will also need weapons and armor and do not forget about alchemy. You can create a variety of potions in the alchemical rack to increase some of the parameters of the character. Blood Magic PE is compatible with the Botania PE mod and does not cause conflicts. So you can collect blood and grow delicious plants. You can watch this video to understand the principle of work. The video contains this mod from Minecraft PC, but PE is not much different from it, there are interface differences basically. 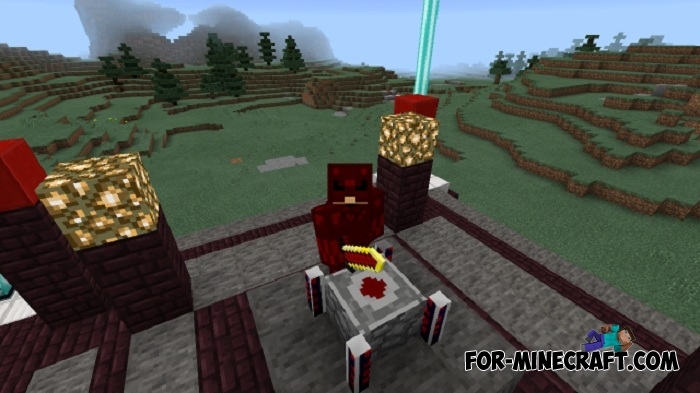 How to install the Blood Magic PE mod? 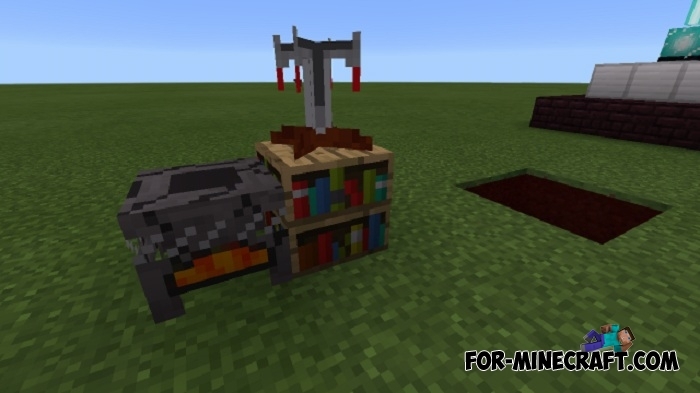 This version works on Minecraft PE 0.14 together with BlockLauncher 1.12.5 (download here). 1. Download the mod and run BL. 2. Import the texture first, then mod. 4. The mod is installed.